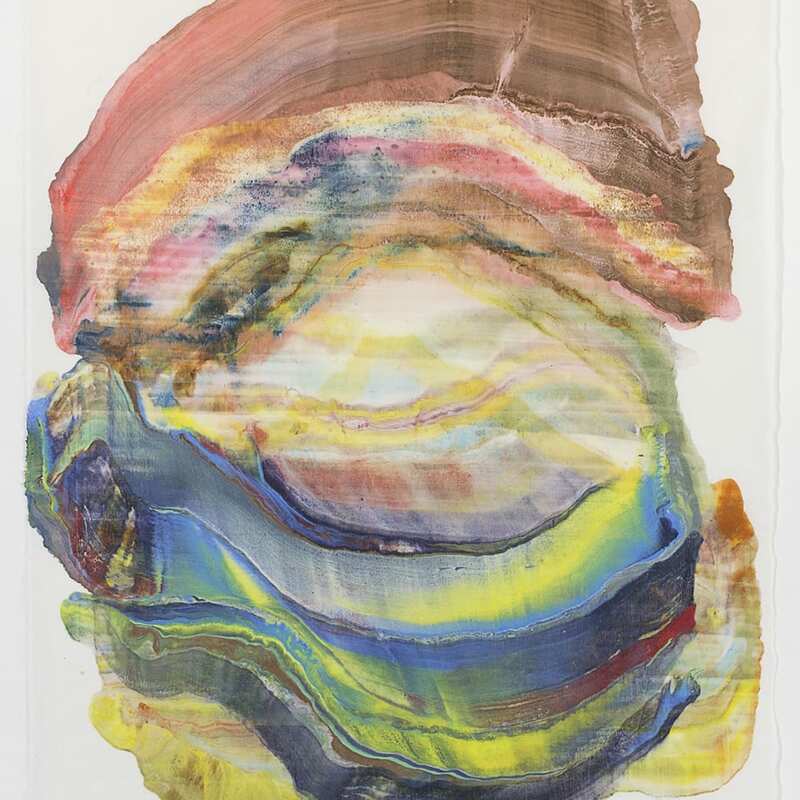 Laura Moriarty is engaged in a visual dialogue that finds equilibrium between scientific representation and acts of abstraction. Her studio practice includes making sculptures, paintings, prints and multimedia installations. By studying the elaborate diagrams found in earth science textbooks and from empirical evidence of geological events, Moriarty creates macro/micro records in encaustic paint of what she imagines is happening below the earth’s terrain. The properties of her work: shape, color, density, and composition result from the same forces that shape and reshape the earth -- heating and cooling, time, movement, transmutation, enfolding. The artist’s work is shown internationally and she is the recipient of many grants and fellowships including the Adolph and Esther Gottlieb Foundation grant and Pollock-Krasner Foundation grant, Zita Orionis Fellowship, Vermont Studio Center, Johnson, VT and the Baer Art Center, Hofsos, Iceland.